Argentina star Juan Martin Fernandez Lobbe believes the creation of a new Super Rugby franchise in Buenos Aires can inspire the Pumas to greater heights even if he won’t be a part of it. 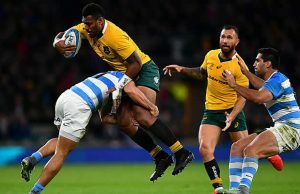 The South Americans, not long ago regarded as a ‘second-tier’ nation, confirmed their status as a major rugby force with a run to the World Cup semi-finals that saw them lose 29-15 to Australia at Twickenham on Sunday. Argentina, however, still have a chance to equal their third-place finish at the 2007 World Cup when they face South Africa in the bronze medal play-off at London’s Olympic Stadium on Friday. The past year has seen Argentina beat both Australia and South Africa in the Southern Hemisphere’s Rugby Championship. They made life tough for New Zealand before losing to the All Blacks in the pool phase of the World Cup and then produced some thrilling rugby in a 43-20 quarter-final win over Six Nations champions Ireland. 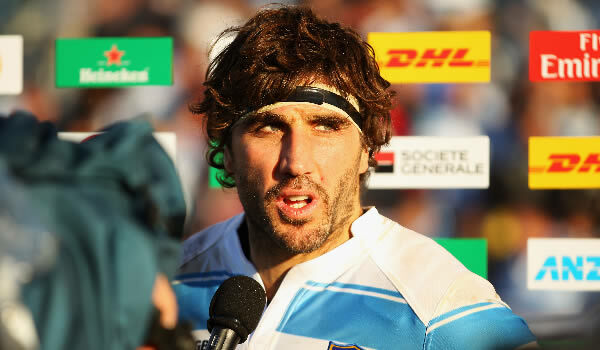 Fernandez Lobbe, a veteran of 70 Tests, said the Buenos Aires side, due to make its Super Rugby debut next year, would further strengthen Argentinian rugby. “I am very excited,” the 33-year-old said. “They are going to play Super Rugby, they are going to play the Rugby Championship and they are going to be together the entire year. “I’m not saying we are going to win it, I am saying you are going to enjoy a lot of good rugby from Argentina. Nevertheless, Lobbe accepted the breakdown, where Australia’s David Pocock and Michael Hooper were in commanding form on Sunday, was an area where Argentina needed to raise their game. “We will analyse the video, see how they (Australia) play the breakdown and adapt ourselves to get better,” he said. However, Friday’s match against the Springboks could be Lobbe’s last for the Pumas as only players at the new team in Buenos Aires will, in future, be deemed eligible for international duty by the Argentina Rugby Union. That would rule out Fernandez Lobbe, currently with French-based European champions Toulon, as well as several other first-choice Pumas. Few men have done more for the cause of Pumas rugby than former scrum-half Pichot. After Argentina beat France in the opening match of the 2007 World Cup — a victory they would repeat in the third-place play-off — then captain Pichot urged the Pumas be included in one of rugby union’s leading annual competitions. “We were third in the world, but we did not have a system and the union was broke, we were only going to play five games a year if that, so it did not look good,” explained Pichot, whose plea for Argentina to join Europe’s Six Nations fell on deaf ears. “I couldn’t convince them. It lasted five seconds the meeting. They just went ‘no'”, he added. 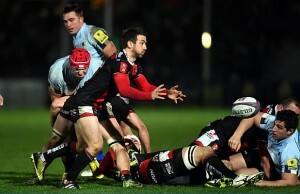 But South Africa, New Zealand and Australia eventually proved more receptive, with Argentina making their bow in an expanded Rugby Championship in 2012.